I can now Oracle. With my T2 pulse lasers I undocked in a ship that I have liked for quite a while but never flown. I started with Minmatar back when Minmatar is what you started out with for PvP. At this time, I can now fly the Tornado, Naga, Talos, and Oracle with T2 weapons. I'm rather pleased with that. However, we don't often used 'attack' battlecruisers, once known as tier3 battlecruisers. We don't often use battlecruisers at all anymore. Two years ago Eve was battlecruisers online. Now seeing one in a fleet is almost exciting and slightly out of place. I've been mulling over the topic. I gave up battlecruisers for the most part last December. When the battlecruiser nerf was happening I was doing some reading into why I disagreed with the nerf. At the time I looked into what battlecruiser was. If I am going to make arguments into the void I might as well try to do a coherent job with them. Onwards to Wikipedia. A battlecruiser, or battle cruiser, was a large capital ship built in the first half of the 20th century. They were similar in size and cost to a battleship, and typically carried the same kind of heavy guns, but battlecruisers generally carried less armour and were faster. 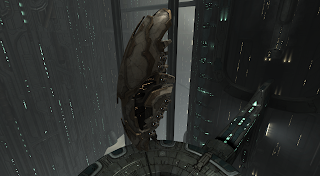 When CCP committed tiericide on battlecruisers they split them into two types. Combat and attack. 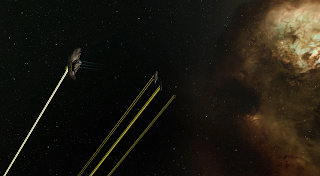 Combat battlecruisers were beaten with a nerf bat until they laid down and stopped undocking. Attack battlecruisers were touched a bit but for the most part left alone. 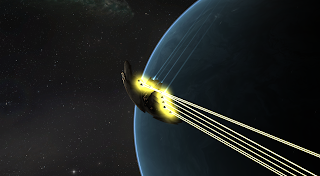 After the change the attack battlecruiser turned closer into something that matched the definition of what a battlecruiser was. Large guns, glass cannons, reasonably agile, they are really a true battlecruiser while the common battlecruiser is more a heavy cruiser. Not that it matters. Obsessing over the definitions of the words is a bit silly in this game. I admit, I cannot resist and do it anyway. I like the attack battlecruisers for the most part. I find the weaknesses of large guns to be very uncomfortable to deal with. Everything I see I think about how bad it would be if I got under its tracking. Also, working with lasers is new. They have such small areas between when they hit things and when they flash lights across them. Growing up in the world of projectile turrets it is something that matters much more. Another bit of situational awareness checking in. I feel a bit helpless in them instead of amazing. It may be the hours I have logged into my Jaguar. 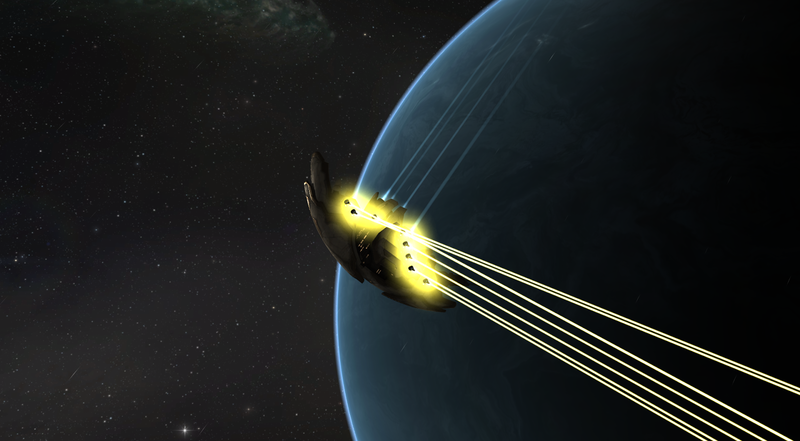 I have plugged in Zealot (aka Amarr Cruiser V) as well. I am pondering spending some time in Amarr interceptors after the change. Now I have hte holy trinity of turrets. I am a triangle of effectiveness. Or something. Surely the Rupture is the definition of 'triangle of effectiveness'?